Star Citizen would like to invite you to CitizenCon 2947! This is an opportunity to celebrate another year with the SC community, look back on all that has been accomplished, as well as looking forward to upcoming game content. 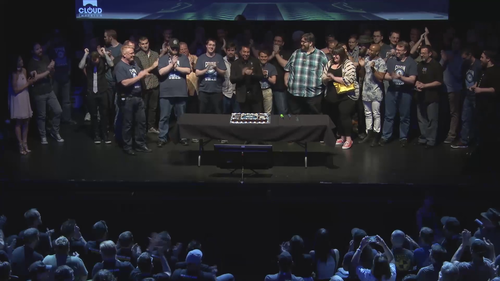 This year, Star Citizen will be celebrating in Frankfurt, home of CIG's German Studio. For backers who are already in town on the Thursday, please look forward to meeting the CIG team at the Champion’s Bar in the Marriott Frankfurt at 6pm local time. CitizenCon 2947 will be held on Friday 27th October at Capitol Theater in Frankfurt: Kaiserstraße 106, 63065 Offenbach am Main. Doors will open in the evening with exact timings to be confirmed closer to the date Come along to see Chris Roberts’ live presentation, meet the team from the Frankfurt office, as well as visiting staff from other studios. Saturday 1st July - 150 Tickets available to Concierge and Subscribers only. Saturday evening 1st July - 150 Tickets available to Concierge and Subscribers only. Sunday 2nd July - 150 Tickets, available to all backers. Sunday evening 2nd July - remaining 200 Tickets available to all backers. There will be snack food available for purchase at the venue, though attendees are encouraged to meet up and enjoy a meal together before the event. There is a nearby ParkPlatz: Speyerstraße 30, 63065 Offenbach am Main. Should you find a parking spot on the street nearby, please be aware that this may be chargeable at all hours. PLEASE remember to bring your printed ticket or a digital copy stored on your phone in addition to your photo ID. If you have a Citizen Card or any Star Citizen clothing, bring it (cosplay encouraged). There is a bar at the venue for drinks, as well as snack food (sandwiches, wurst and pizza). Attendees are highly encouraged to meet up and enjoy a meal prior to the show. Each year, fans have kindly offered gifts for the team. Unfortunately, since many of them will be flying out the next day, they are unable to accept anything at the event. The dev team truly appreciates the thought though! Is the Capitol Theater wheelchair accessible? Yes. There is wheelchair access to most of the venue, including toilets. No, this is not allowed for the venue – Please stop by one of the traditional German restaurants nearby before the event, or purchase food and drinks at Capitol. Yes, this is a seated event. Is there an age restriction for the venue? Yes, the event is 18+. Can people bring their own seating for the wait? You may bring a small foldable seat to use while outside the theater, however use of them inside the premises is prohibited, so you would need to use the coat check once inside. Please only bring what you’ll need with you to the event, as well as your Star Citizen merchandise! Attendees will be encouraged to store their belongings in the visitor’s cloakroom. Coats, jackets, bags, umbrellas etc., may be asked to be checked if they are large; with deference to everyone’s safety and ease of access. This facility is included in your ticket price, but be sure not to lose your coat check ticket! What do I do before the show? Rather than queuing up for hours beforehand, we encourage backers to meet up nearby. Keep an eye on Spectrum for posts on this topic closer to the event date. If there are unsold tickets from Saturday 1st, will they be available to all backers when tickets are added on the 2nd? Yes. On Sunday 2nd the ability to purchase tickets will be unlocked to all backers, which will include any previously unsold tickets. Look out for latest news, contests, and additional information about CitizenCon. Whether you’re in Germany, or back at home, keep up to date with all things Star Citizen by following SC's various channels on social media: Twitter - Facebook - Instagram. Star Citizen is a supported game in our Conquest Division and offers all BWC members a great opportunity for quality gaming, team building and event participation. Featuring tactical variety, fun and engaging gameplay mixed with competitive elements, Star Citizen espouses the “One Team, One Fight” ethos that BWC centers itself upon perfectly. Attend a SC operation, training, and/or FTX and earn credit in the 2017 “One Team One Fight” (OTOF) Campaign. Learn more about the OTOF Campaign HERE. ATTENTION TO ORDERS! The Arma III regiment of the Warfare Division is in need of more manpower! With FTXs, operations, and a dynamic central campaign, the Arma 3 regiment provides the perfect milsim experience for anyone looking to join. With the new mod system, hopping into our operations is easier than ever! Join into the fight with the new steam workshop mod pack! With a click of a button, you can download all of the mods needed to participate in Arma 3's dynamic operations. Hop in as a rifleman and blast some OPFOR, or take advanced training to fill more advanced positions! The new training system will certify you to fill slots ranging from specialty infantry, grenadiers, marksmen, snipers, logistics operators and medics. You can even train to become a vehicle operator of a tank, plane, helicopter, or artillery piece. There is always something new out there for you to try and master. The server information can be found in the Arma 3 section of the forums, so join us for our explosion-riddled bulletfest! ArmA III is a supported game in our Warfare Division and offers all BWC members a great opportunity for quality gaming, team building and event participation. 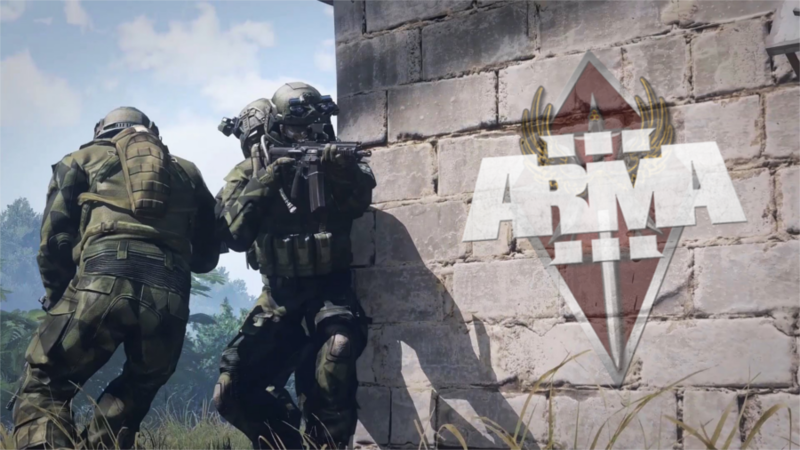 Featuring tactical variety, fun and engaging gameplay mixed with competitive elements, ArmA III espouses the “One Team, One Fight” ethos that BWC centers itself upon perfectly. Attend ArmA III operations, trainings, and FTXs and earn credit in the 2017 "One Team One Fight" (OTOF) Campaign. Learn more about the OTOF Campaign's FAQ HERE. All times are GMT-5. This page was generated at 01:43.